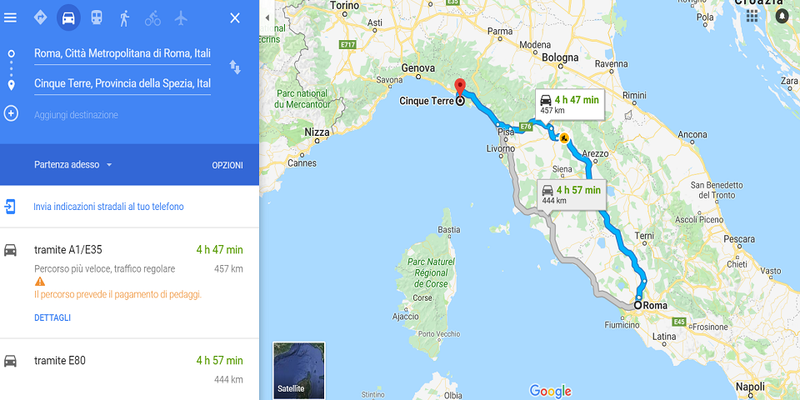 To get from Rome to the Cinque Terre there are two main options: take the train, or drive a car. Despite the fact that there are some regional buses, none of them will get you directly to your final destination. 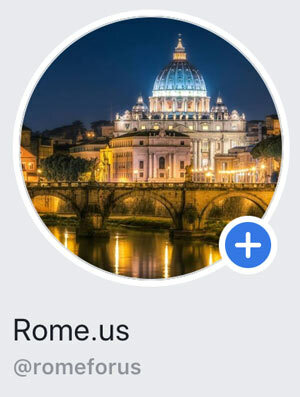 The distance between Rome and the Cinque Terre is 457 km. Getting a high-speed train is the most convenient and fastest option to reach the Cinque Terre National Park. The journey will take from 3.5 to 7 hours. Monterosso is the biggest town of the Cinque Terre. 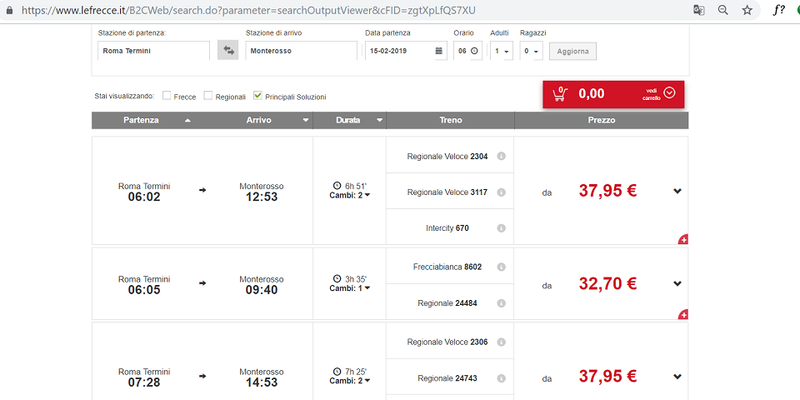 You can buy tickets from Rome to Monterosso on Trenitalia website. The train takes from 4 to 5 hours, depending on the train you choose and its cost. 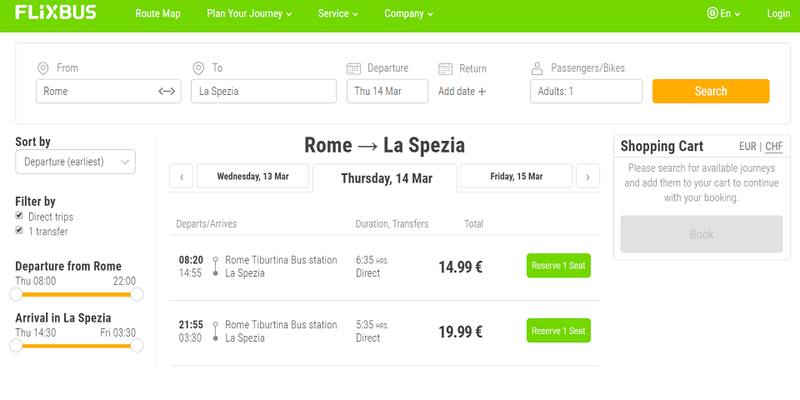 Usually, prices vary from 30 to 60 euro per one-way ticket. You can get to La Spezia from Roma Termini or Ostiense railway station. You need a train, preferably high-speed one, to La Spezia centrale station. The price for one-way ticket starts from 20 euro. The same train goes to Genoa and the journey will take 3-4 hours. Then, transfer to a regional train for the short ride to one of the Cinque Terre villages, where Riomaggiore will be the first stop. During the summer you can take a ferry from La Spezia’s harbor to the Cinque Terre. The Consorzio Marittimo Turistico runs summer boats as well as excursions along the coast. Frecciabianca high-speed trains run between Roma Termini and Ostiense railway stations and Genoa’s Piazza Principe railway station. It takes 4-5 hours to reach Genoa and about 5 hours if you catch Intercity train. Trains are scheduled about every two hours during the day from 6 am to 6:30 pm. Also, there is a night train, the Intercity notte, which leaves from Roma Ostiense about midnight and the journey takes 6 hours. 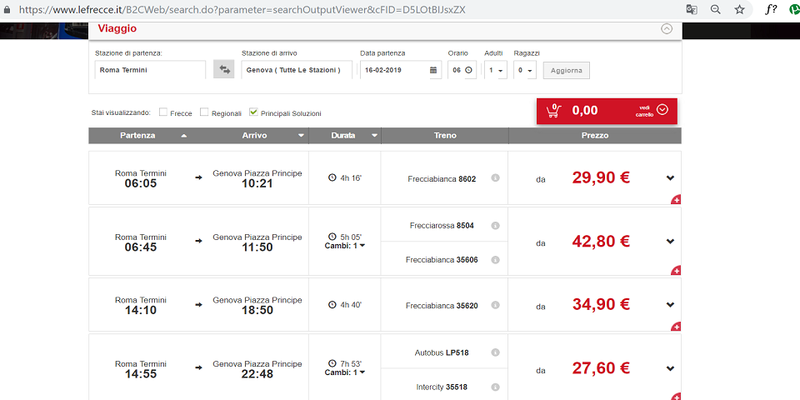 One-way ticket cost from Rome to Genoa starts from 25 euro. Then, there is a train line that runs from Genoa through the Cinque Terre. You have to take the local train toward La Spezia and get off at your destination. Getting from Rome to the Cinque Terre by car is not the most convenient option since the roads are narrow, some of them are tiny and twisting. The journey is nearly 300 miles and do not forget about the toll roads. An approximate time of journey is 4.5-5 hours, if there is no traffic. You need to take the A-12 Autostrada in the direction of Livorno-Genova and take the Carrodano-Levanto exit. Then, follow the signs to the Cinque Terre (sometimes labeled as Monterosso) until you get closer to the five towns. 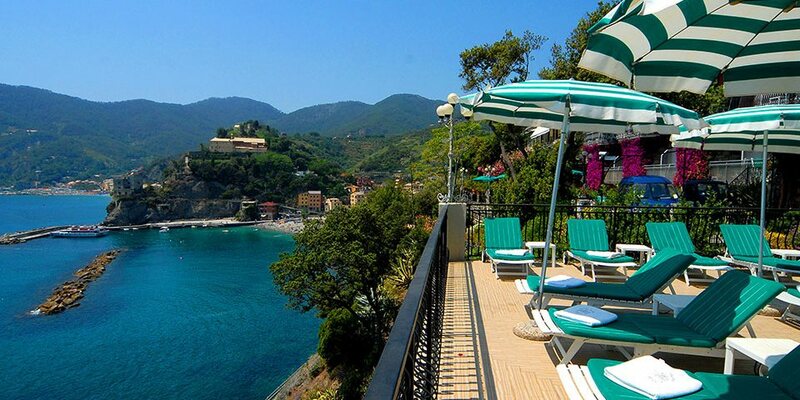 Hotel Stella Della Marina located in the center of Monterosso, part of the Cinque Terre Regional Park on the Ligurian coast. It features a rooftop terrace with sea views, sun lounger and tables. Moreover, breakfast is served daily in the property and guests can enjoy drinks in the bar. 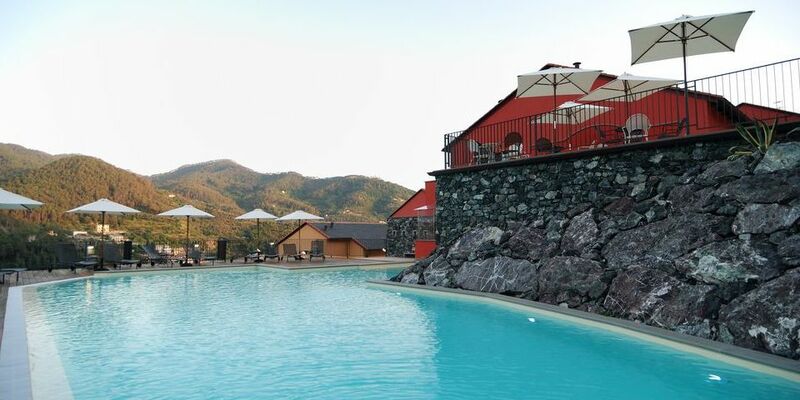 Hotel Villa Argentina located in a 10-minute walk away from Riomaggiore Train Station. There is a buffet breakfast, which can also be served in your room. Moreover, you can easily reach other villages of the Cinque Terre, such as Levanto and Monterosso, easily by boat or train. 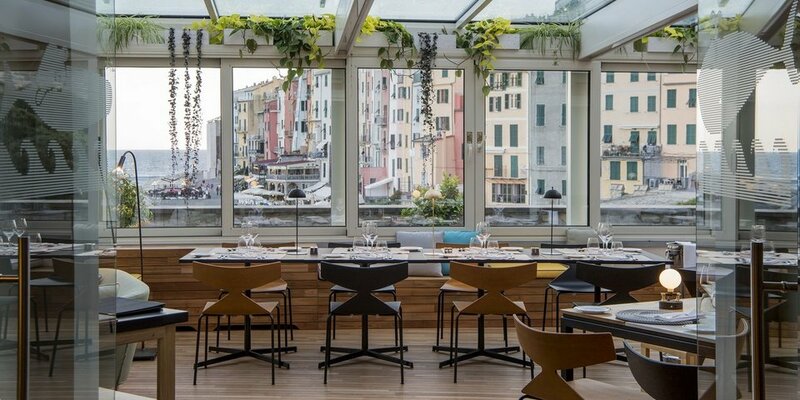 Grand Hotel Portovenere is a 5 stars hotel with a terrace overlooking the small port and Palmaria Island. It is set in a 17th-century monastery. 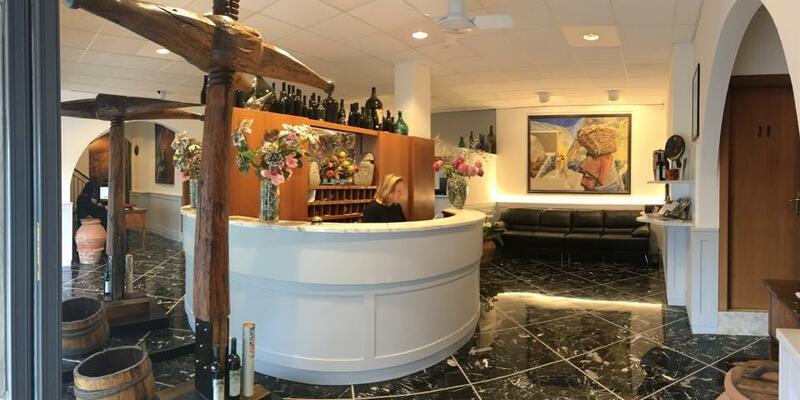 Moreover, the hotel located in a few steps from the town center. You can enjoy a buffet breakfast on the panoramic terrace. Hotel Porto Roca is a 4-stars property with a panoramic cliff-top location with impressive sea views. It is located in a 5-minute walk from Monterosso center. 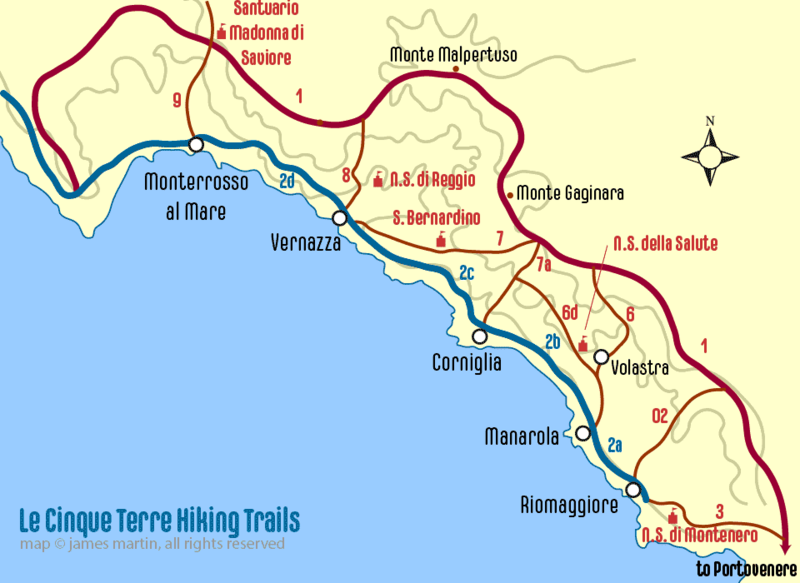 Moreover, famous Blue Trail of the Cinque Terre starts there. The hotel offers free chairs and parasols at the beach below. Park Hotel Argento offers a free wellness center and a panoramic terrace with large, outdoor hydromassage pool. 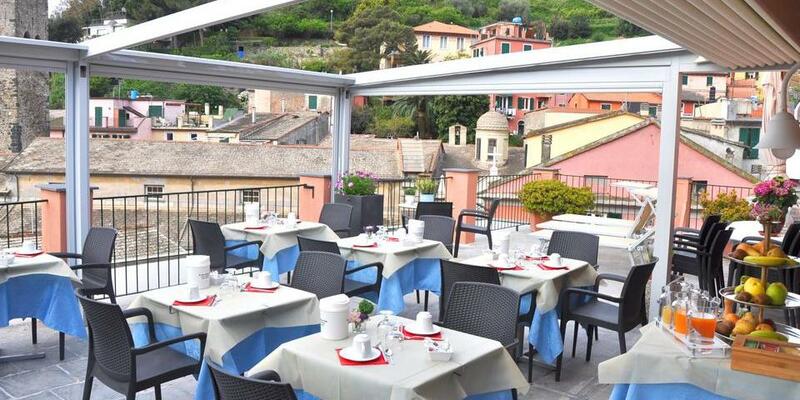 It is located in 800m from Levanto Train Station. All rooms are bright and spacious with cool tiled floors and modern furnishings.